your systems, increasing productivity and reliability. Technology is a vital part of any modern business, providing the platform for your business to complete day to day operations and much more. As a result of this when problems occur this can cause major disruption costing time, money and unhappy staff or even customers. With this in mind our Managed IT support packages are here to provide you with a hassle-free cost effective IT support solution, relieving the burden and stress from you and ultimately freeing up time for you to concentrate on your business. 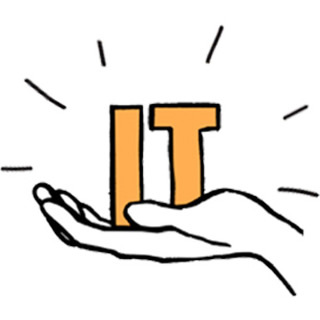 The Managed IT support packages provide you with a support strategy for your businesses computer and network infrastructure through both a preventative and re-active service to issues on your systems. Through continually monitoring your system we ensure problems do not develop into major outages, increasing your uptime and reliability. Whilst our reactive service gets you a quick response to any issue that you report, we will look at the problem and come up with a strategy to restore to full working order as soon as possible. Based in Northumberland we provide IT Support to many organisations throughout the region and country, currently serving the North East, North West, Northumberland, Newcastle Upon Tyne and Europe across a diverse industry range. Our commitment to all of our clients has helped us build our reputation as a trusted sole provider for a range of services. 86% of companies suffer downtime of their IT Systems, losing an average of 2.2 days per employee due to IT related issues annually. Guaranteed response times across all of our managed IT support packages for any support request. No mind boggling explanations, just jargon free technical advice and explanations when dealing with our support team. Rest assured you’re in safe hands. All of our engineers are qualified with a wide range of experience. Instantaneous, anyplace, anytime we can remote onto your device to advise and repair any problems on the spot. Let us bring our knowledge and experience to you. Maintenance, installations and upgrades at your location. No unexpected astronomical bills. All the support you need for one fixed low monthly fee. Keeping you in control of your costs. We proactively monitor key aspects of your network, helping us to detect issues before they develop into downtime. We’ve got you covered, support anytime you need it. Whether it’s for maintenance, upgrades or emergency support. Our range of support plans are designed with you in mind, flexible, affordable and reliable. Our fully managed option, leave IT to us. Using a blend of remote and onsite support and our pro-active monitoring platform you can rest assured that your computer systems will remain reliable, secure and up to date. Leaving you to concentrate on your business. Without the contractual commitment of a support plan you can simply choose a number of hours that suit you and then these can be used for any issue across any of your devices. We track your usage and provide a breakdown of how your block booking was used. Are you an IT Manager, Business Owner or Director who requires more man power? We can outsource our technical team to help cover staff holidays, busy periods or assist you with IT projects which require additional technical staff.